The 2017 statistics of the new StatShot Annual Report from the Association of American Publishers show 2.7 billion units moving, and a mild, five-year decline in overall total revenue estimates. Days after the UK’s Publishers Association released its 2017 “Yearbook” report on the British book publishing industry, the organization’s Stateside counterpart, the Association of American Publishers (AAP), released news to the press of its 2018 StatShot Annual Report which covers 2017 US book publishing industry statistics. As in the case of the Publishers Association’s report, members of the organization receive a copy while others can buy it, and will find information here (US$395.00). The top line offered in press material is that in 2017, the US book publishing industry generated an estimated $26.23 billion in net revenue for 2017, representing 2.72 billion units. Another key point: Publisher revenue for trade books (fiction, nonfiction and religious presses) were reported by survey respondents to be effectively flat at 0.3 percent, increasing by $45 million in 2017 over 2016. 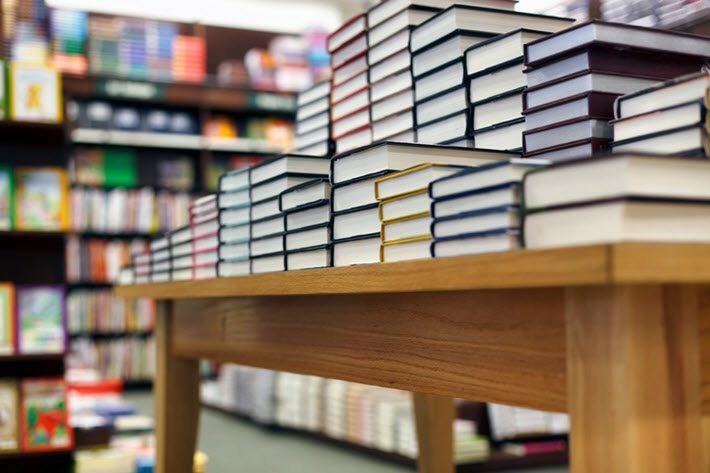 Since 2013, or in the past five years, publisher-reported revenue for trade books has increased by some $820 million. And at Publishing Perspectives, we find this component of the newly released information on the American market interesting: “For the first time, publisher sales to physical and online retail channels were approximately equal at $7.6 billion and $7.5 billion respectively in 2017. “Within online retail channels, 43.2 percent were print formats, 27 percent were ebooks, 16.3 percent were instructional materials, 10.5 percent were downloaded audio, and 3.1 percent were physical audio or a different format.” Keep in mind that the digital revenues reported by publishers can’t include such revenues that are not reported by online retailers. So the entirety of the market picture isn’t available here, but the comparison of publishers’ reported sales levels to brick-and-mortar and online outlets is interesting. We’ll next touch next on several other parts of the report highlighted for the press, and then you’ll find below some notes on the StatShot Annual report itself and how it goes together. It’s good to remember that it represents publishers’ reported revenue from tracked categories—as well as estimates of other revenues for publishers not reporting. In short, these numbers aren’t generated from actual sales at cash registers and in cyber-carts for retailers. The StatShot Annual figures’ value lies in their comparative numbers from year to year–as represented in our chart above–rather than in comparisons to other measures, even the monthly assessments conducted by the association. This is not to say that the StatShot Annual report isn’t worthwhile. In a market as big and difficult to evaluate accurately as the US market (with large sections of its data held invisible by online retail forces), many assessments, properly understood, can be helpful. The key is to understand, as the association readily states in its media messaging, that the StatShot Annual Report numbers are estimates and “represent publishers’ net revenue from tracked categories (trade, higher education course materials, preK-12 instructional materials, professional books, and university press), in all formats, from all distribution channels. 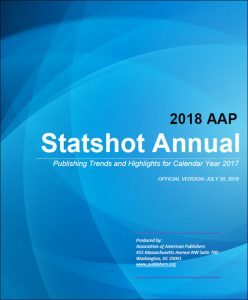 The StatShot Annual Report is put together by a different process than the Association of American Publishers’ monthly surveys, and “survey participants in StatShot Annual may not be the same as those who participate in AAP’s monthly surveys,” per explanatory notes from the association. More from Publishing Perspectives on industry statistics is here.